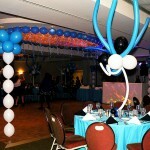 Another picture from the same party, as on the previous picture. 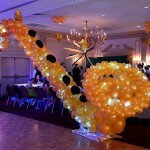 Very unusual centerpiece. 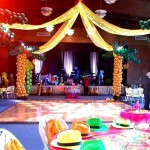 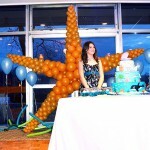 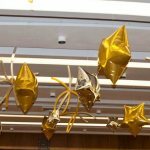 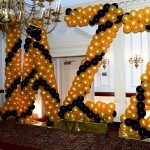 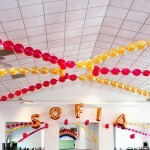 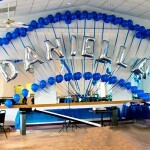 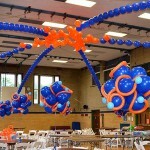 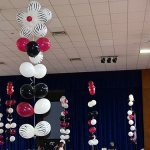 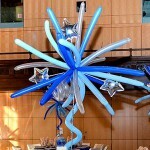 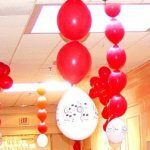 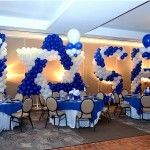 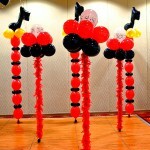 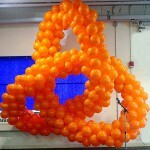 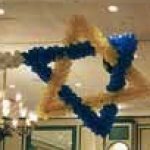 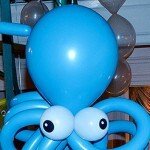 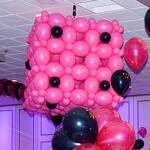 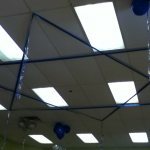 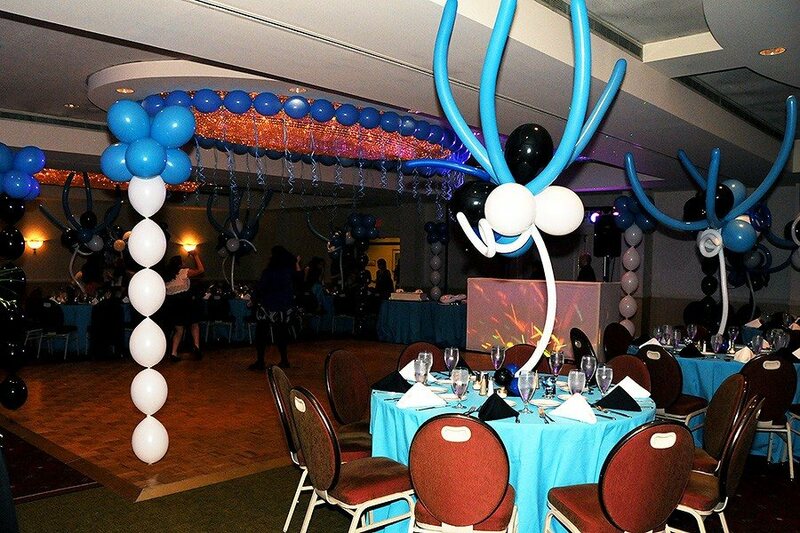 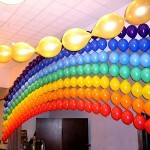 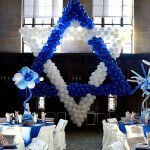 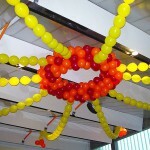 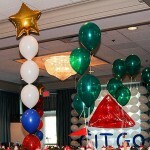 Usually long balloons are not filled with helium, so this balloon centerpiece is not what you see every day, even if you are in the balloon industry. 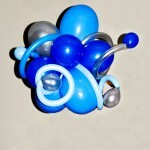 Very good example that even a relatively simple arrangement can be very interesting.